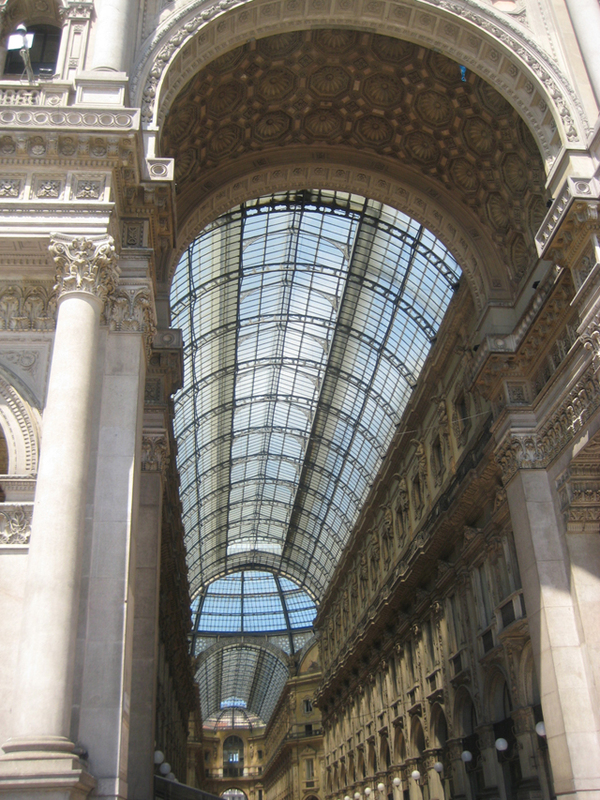 For so many years I avoided Milan, not wanting to be just another fashion victim frenetically gravitating to the fashion capital of the world, with ‘shopping’ on my mind like the social frills that crowd the metro’s, known only for their handbags. Nothing deeper to recommend them! And when I did go this summer it was with a keenness to view Leonardo da Vinci’s ‘The Last Supper ‘ that covers the back wall of the dining hall at Santa Maria delle Grazie in Milan. 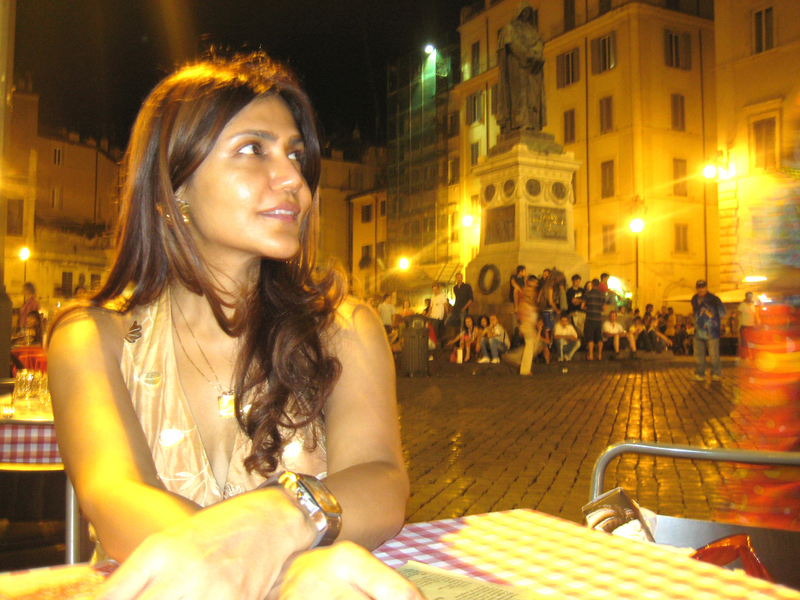 I’ve visited Italy many times, but never popped into Milan and so when I finally did, it was a surprize, a pleasant one indeed! 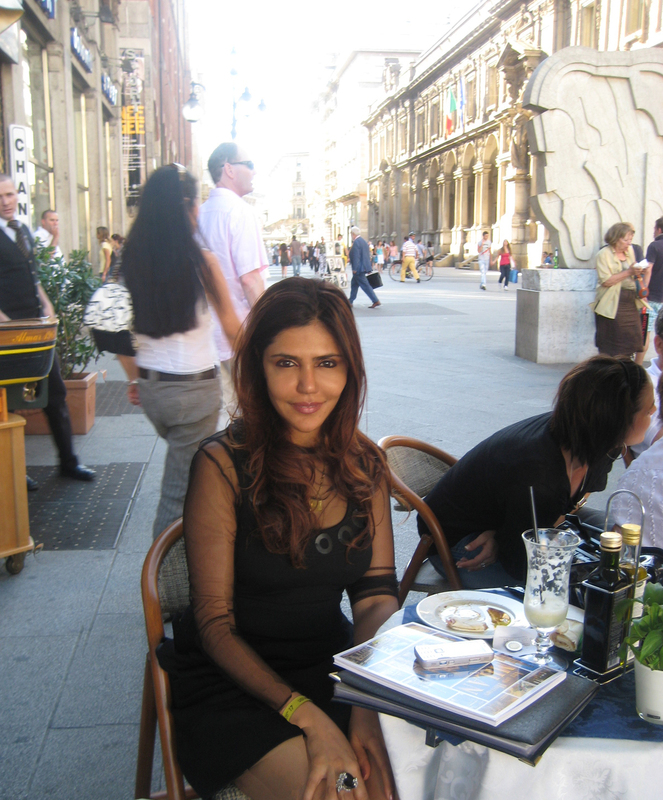 To see the old world charm and the haute come together so charmingly enthralled me, and would you believe it, that I have returned three times since to enjoy the paradox that is Milan. Today as I fly into the city i fantacize walking through the city after a piping hot shot of Espresso that permeates the air of the Four seasons where I always stay, accompanied by a croissant . 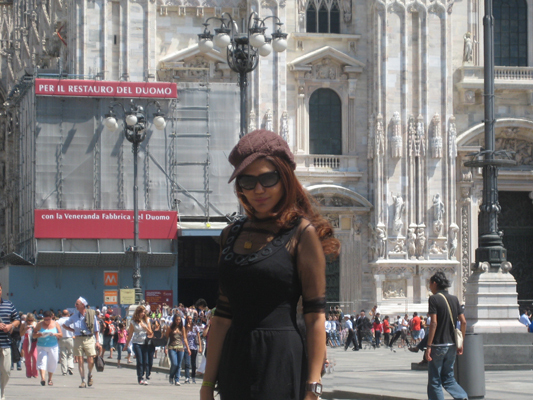 And where does everyone head to in Milan but the ‘centre’ or the ‘hang out’ of the city- the Piazza del Duomo that stands out in the spider like city street pattern. The towering focal point of this square dotted with cafes , stores, little jewellery and scarf kiosks, ancient architure, new fashion salons, hotels and magnificent restaurants is the Duomus , the third largest cathedral in the world after St Peter’s and the Cathedral of Seville. What I find charming is that the old and the new so genially coexist and all roads lead to this great cathedral that looks like an extravagant white chocolate cake, and this forms the context when asking for any directions in Milan. The famous opera house Teatro Del Scala, the 4th century AD old San Lorenzo Maggiore and the Torre Velasca are just a walking distance away from the Duomo. The San Lorenzo Maggiore is the oldest church in Milan with its unique octagonal floor plan and with its mammoth dome which is the highest dome in Milan. hey thanx Rikin, feels great to hear that! how about some far eastern countries and your experiences?